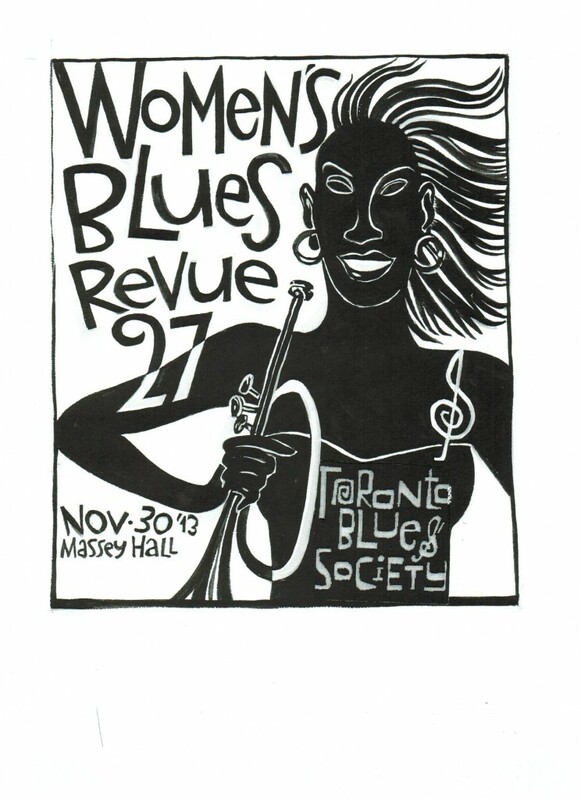 After five years in the house band for the annual Women’s Blues Revue held at Massey Hall, I am excited to announce that this will be my first year as the bandleader. This year’s house band will be Colleen Allen(saxes), Carrie Chesnutt(saxes), myself(trumpet), Christine Bougie (guitar), Suzie Vinnick (guitar), Lily Sazz (keys), Brandi Disterheft(bass), Morgan Doctor(drums). The featured vocalists will be: Rachelle Van Zanten, Layla Zoe, Betty Richardson and Kim Richardson. Click on poster to buy tickets.